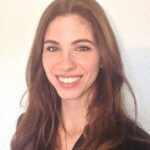 My name is Elena Decaneto and I am a graduate student in Chemistry at the Ruhr University of Bochum currently working at the Max Planck Institute for Chemical Energy Conversion (in Muelheim an der Ruhr) with a scholarship funded by the International Graduate School Solvation Science of the Cluster of Excellence RESOLV. 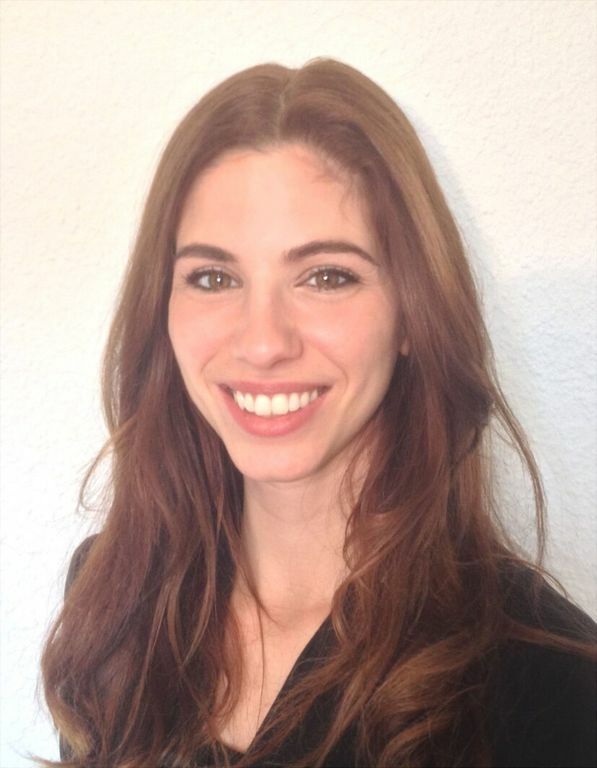 In January 2015 I moved from Germany to Israel since I had the opportunity to undertake an internship of three months at The Weizmann Institute of Science (Rehovot), in the group of Prof. Irit Sagi in the Department of Biological Regulation. Weizmann Institute of Science / Vall d’Hebron Institute of Oncology Joint Conference on Cell Communication in Translation Research, 22-23 January, 2015, Rehovot, Israel. From the first day I was able to learn from competent scientists and to discuss scientific issues in a friendly and challenging environment, comparing my knowledge with those of other students and researchers with different backgrounds. This internship was a valuable and necessary experience for me to learn a large number of biological techniques I will need in the future (both for a future in the academy and for working in a company), get practical tips on my current PhD project, using cutting-edge instruments for applied biology which are currently not available in the institution where I work in Germany, visit an experimental animal house, participate in international conferences and seminars, presenting and discussing my data to a group of pure biochemists and biologists and establish possible future collaborations. 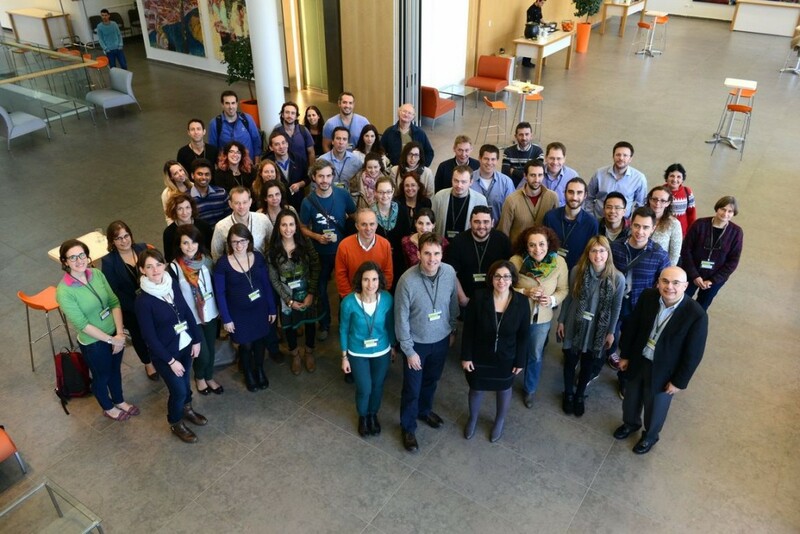 The Sagi group is mainly focused on the use of advanced biophysical and imaging techniques for unravelling cellular environment molecular mechanisms, design endogenous-like inhibitors and modulators targeting matrix enzymes and studying molecular recognition of super-structured substrates. My project involved the development of a fluorometric activity assay for the protein Lysyl Oxidase-2, the expression of different types of protein constructs both in yeast and bacteria and the development of protocols for high-level expression, purification and enzymatic characterization for crystallization purposes. In addition to the scientific aspect, I enjoyed being part of a group of friendly and jovial people, participating in group travels and going out together even outside working hours. In Prof. Sagi`s group I found friends rather than just colleagues, and I go back to Germany enriched not only with new skills but with wonderful memories. 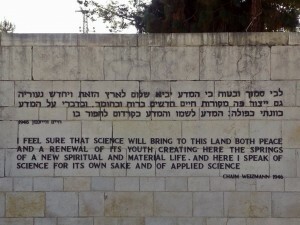 The Weizmann Institute of Science is one of the most important centers of research and higher education in the world. 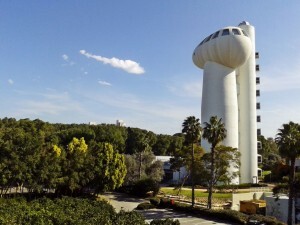 Known for its scientific and technological research in the forefront, the interests of the institute span the entire spectrum of contemporary science: environmental science, drug development, from genetic to oncology, renewable and alternative energy technologies, astronomy, high energy physics, etc. Inside the institute the language is English and students are only Master of Science or PhD from 5 different faculties (Physics, Math/Computer Science, Chemistry, Biology and Biochemistry). The Feinberg Graduate School (of which Prof. Sagi is now the dean) is the greatest strength of the institute, which since more than 50 years aims to train researchers in the field of natural sciences. Koffler accelerator of the Canada Centre of Nuclear Physics inside the campus. All the students are exempt from tuition fees and receive a salary that allows them to spend all their time to study and research, and the duration of a PhD project is usually about 4-5 years. Surrounded by greenery, this institution is a veritable paradise for scientists thanks to the high quality of science (large equipped laboratories, new machines and cutting-edge instruments, high-impact publications, seminars, workshops and international conferences, international environment) and the high quality of student life (access to libraries, gyms, swimming pools, courses of all kinds, bars, pubs, restaurants, dormitories and apartments for students with common places and free wi-fi). Students visitors like me, stay in the international guest house inside the campus which is a perfect place to get immediately in contact with other students, get to know people from all over the world and organize together trips, parties and other activities. 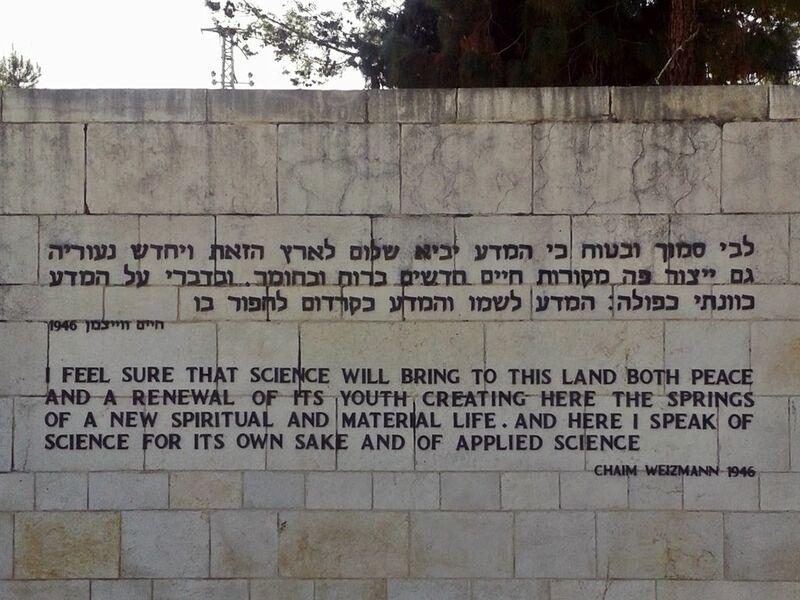 Sentence spoken by the scientific visionary first president of Israel Dr. Chaim Weizmann written on a wall of the campus. For over 2000 years this narrow corridor of land on the eastern shores of the Mediterranean exerts an influence that has no equal on the planet. Linked to the three major world monotheistic religions (Christianity, Islam and Hebraism), Israel is a destination full of charm that includes many biblical sites, churches and mosques, but it is also an area of natural wonders from the desert landscapes, to the lush green of the north of Israel, in addition to the white beaches of the Mediterranean Sea. While Jerusalem is an ancient city on a hill with a fundamental religious importance for millions of people around the world, Tel-Aviv is a seaside town that basks in the sunshine of the Mediterranean Sea with barely a century old. Traveling in Israel is really easy if you have a driver’s license. Rental cars are quite cheap and allow to visit from north to south all the wonderful places that this country offers: from the port of the ancient Akko to the Bahá’í gardens in Haifa, from the Dead Sea to the Negev desert. Anyway, Israel is not only history and wilderness: it is a real tourist area of the Mediterranean which offers beautiful beaches with modern infrastructures. In these three months I used to travel every weekend but nevertheless there are still many places I would like to visit and which represent a good reason to return. 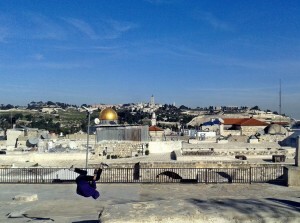 Non conventional view of Jerusalem from the roofs of the market. It is a stereotype all too used, but it’s really hard not to draw attention on the incredible meeting of past and modernity in these places. 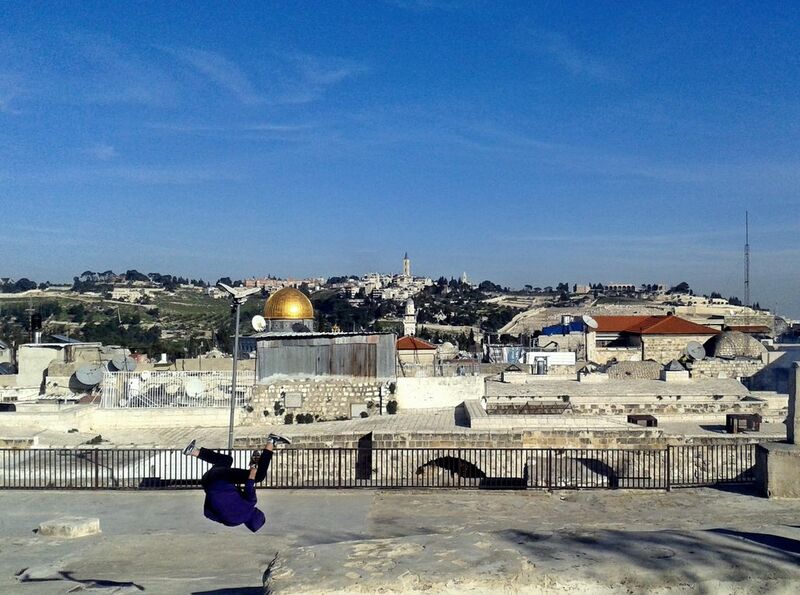 In Jerusalem, you can meet next to each other, Orthodox Jews who wear traditional dress and Christian pilgrims with cutting-edge digital cameras, smells of incense and candles mixed with spices, sounds of bells intertwined with the song of the muezzin. In the Negev desert, the Bedouins use mobile phones with familiarity, while in Galilee palestinian farmers lead the oxen in the fields according to the rules of biotechnology. This great contrast is also reflected in the political situation of the country. My stay corresponded to the period of political propaganda for the election of Israeli prime minister and his party, so that I was inevitably spectator of the frequent and fervent political discussions during this period. 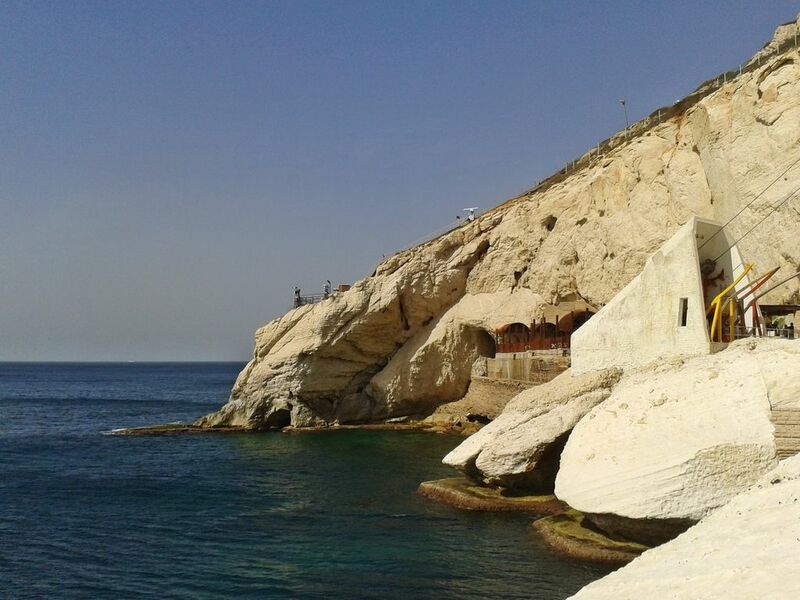 Rosh HaNikra grottes, a geological formation on the Mediterranean Sea at the border with Lebanon. There is a very influential part of the society that believes that Israel should strictly abide by the laws of the Torah, while most people do not want that and look with horror to a confessional state. Despite the bad publicity in the European press and the frequent alarmist headlines with regard to safety, Israel and the neighboring territories of Jordan and the Sinai are perfectly safe for tourists and visiting students. Unfortunately it is not uncommon that political tensions explode in some act of terrorism but usually not undermine the safety of people and the Weizmann Institute can be regarded as a haven of peace. On the streets my attention was captured by the joviality of the people, their meaningful greeting “shalom” (“peace”) and the preponderance of the military: they are mostly citizens who perform military service which is compulsory from 18 years of age and lasts three years for men and two years for women. Israelian food is often simple and modest but tasty and substantial, reflecting the great ethnic mix of this country. 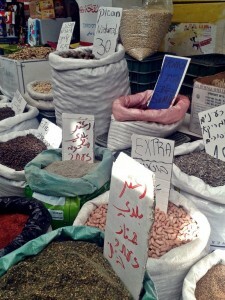 The oriental dishes mostly consists of meat and grilled fish, stuffed vegetables and a variety of meze. Quick meals like shawarma, humus with pitta and falafel are found almost everywhere. At the market in Akko you can find hundreds of different types of spices, along with the special “Said’s humus” famous for being considered the best humus of Israel . Among the Armenian specialties, I especially enjoyed the malawach: a sweet flat bread with flask shape and different salty fillings. Jewish culinary tradition follows the rules of Kashrut: it is not allowed to eat “impure” meat (such as pig, rabbit and horse), while the meat from the other animals has to be deprived of any trace of blood before being cooked. Also, meat and dairy products cannot be eaten together in the same meal. During my stay I had the opportunity to celebrate the Passover, during which it is forbidden to sell and eat leavened foods like breads and pastries of all kinds. My favorite meal was definitely the typical Israeli breakfast, which consists of different types of bread, eggs, salad, cream of soft cheese, cream of olives and spicy sweet tomato. So different from a simple coffee and croissant and a great way to start the day in the lab (if you don’t fall asleep on the lab-bench!). Although Israel is often seen as a culinary desert by Europeans, I definitely had to change my mind after seeing that this country offers a wide culinary tradition, with very good food and lots of variety. 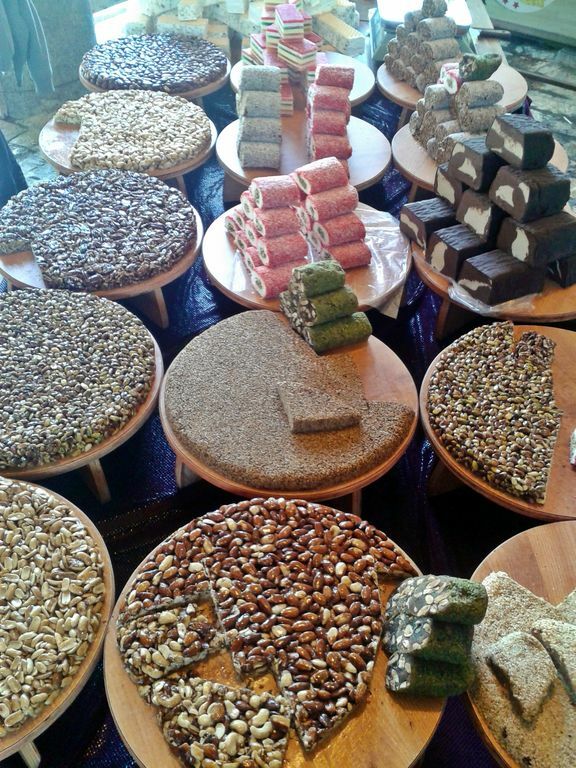 Different kinds of Israeli almond and nut cakes and sweets made with halva (from semolina, tahini or sunflower butter). Despite wines (which are quite good in Israel, especially the white ones) during these years in Germany for my PhD I have inevitably stepped up my critical thinking about beers. It is hard to believe that until a few years ago the Israeli craft beers were practically nonexistent, but now many cafes and restaurants serve good craft beers of the place (mainly Ale beers) and I especially liked the unique taste of barley and bitter from the hop of Malka. Elena Decaneto was born in 1988 in Fidenza (Italy). She got her B.Sc. and M.Sc. in Physics at the University of Parma in Italy. She performed her master’s thesis research project on “spectroscopic characterization of metal nanoparticles” at the Sarría Chemical Institute in Barcelona (Spain). Currently, she works on her PhD thesis about “the coupling of solvent water and enzymatic activity in a matrix metalloproteinase” at the Max-Planck-Institute for Chemical Energy Conversion in Mülheim a. d. Ruhr in the group of Prof. Lubitz and the Department of Physical Chemistry II in RUB under the supervision of Prof. Havenith.